Just a heads up. 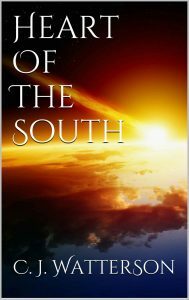 Heart of the South is back on Kindle Unlimited. That does mean it’s not on any other platform at the moment. Get in touch for a review copy for your Kobo, iPad or whatever. What is Sci-fi these days? The targets are changing for Sci-fi. Add your own thoughts in the comments below.